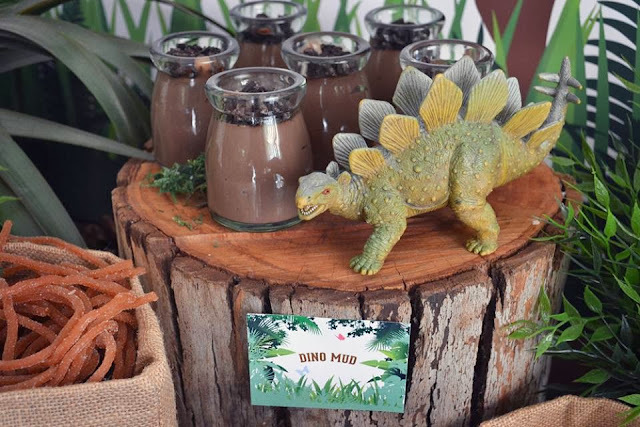 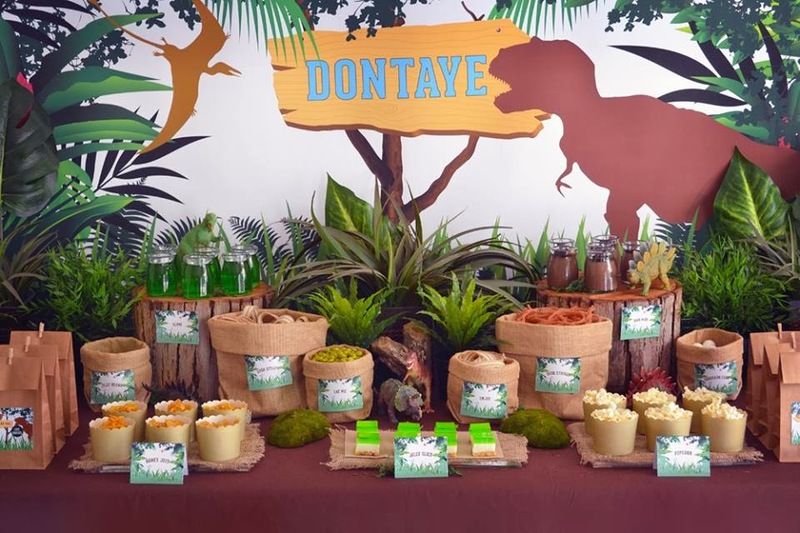 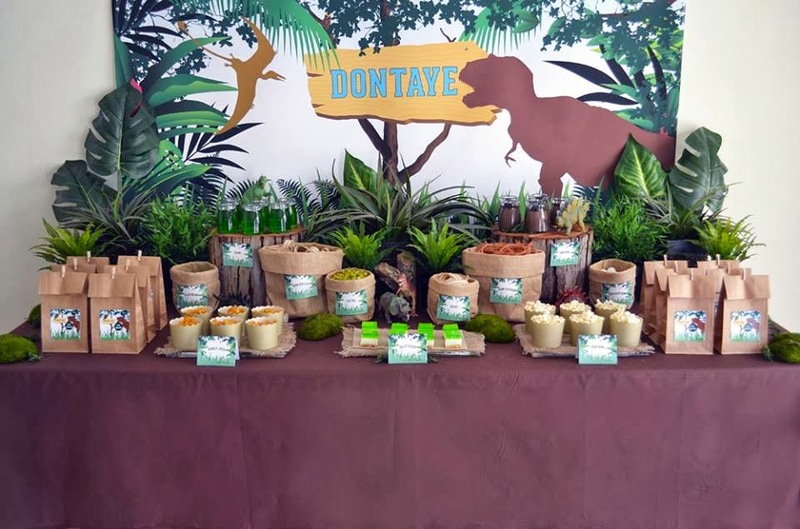 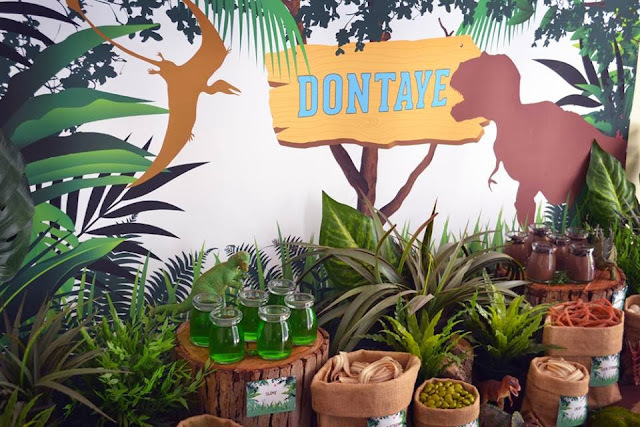 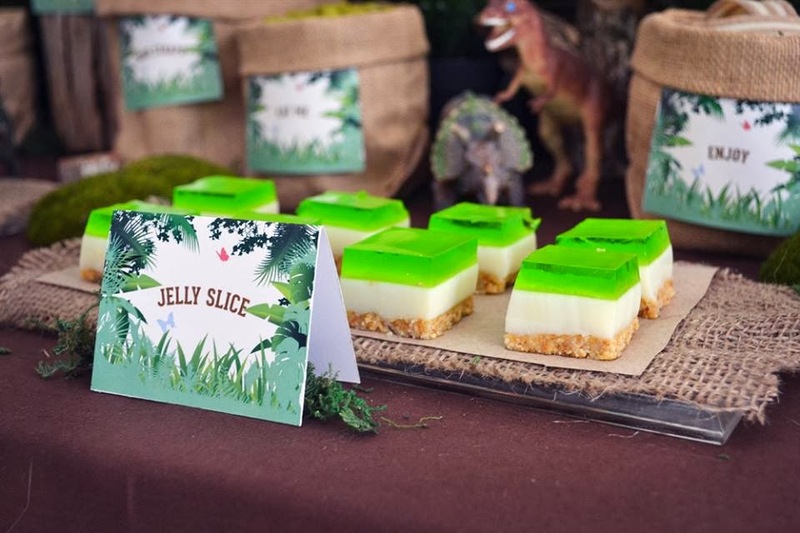 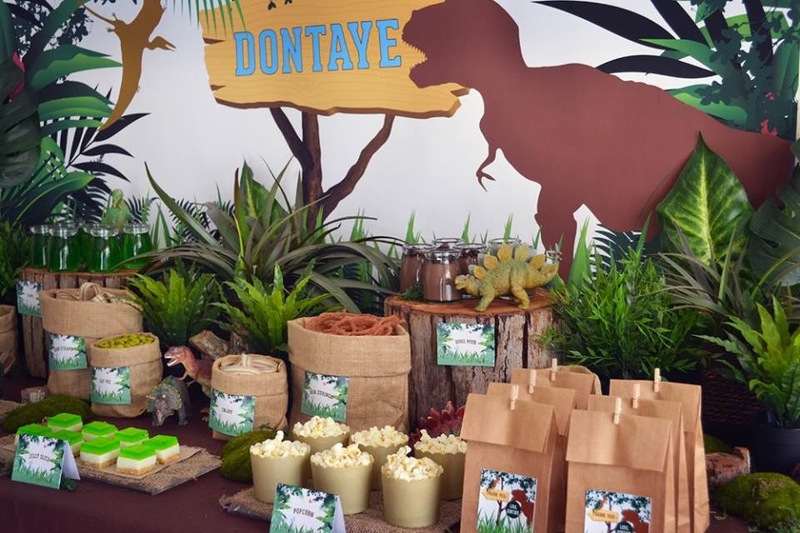 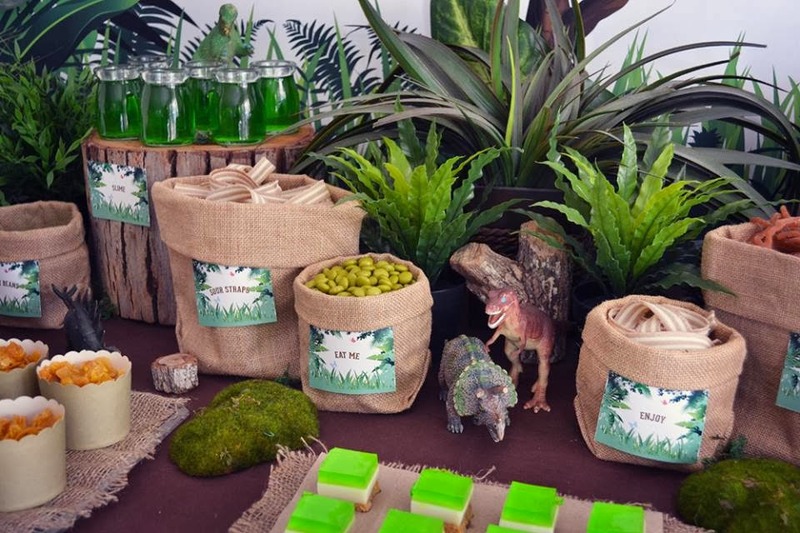 "I recently styled a dinosaur themed dessert table for my friend's son who was turning 5. He LOVES dinosaurs!! 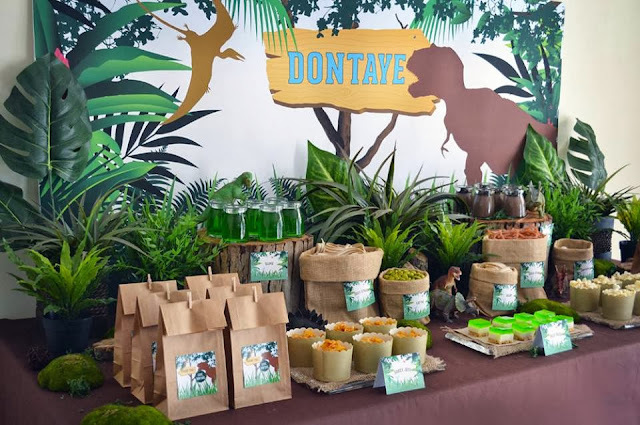 We wanted it to look like the dinosaurs and the treats were hiding in the jungle. Sweet desserts included green slime jelly, dino mud (chocolate custard with crushed oreos), lime jelly slice, cornflake honey joys and popcorn. 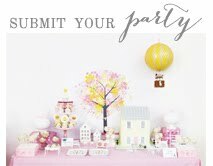 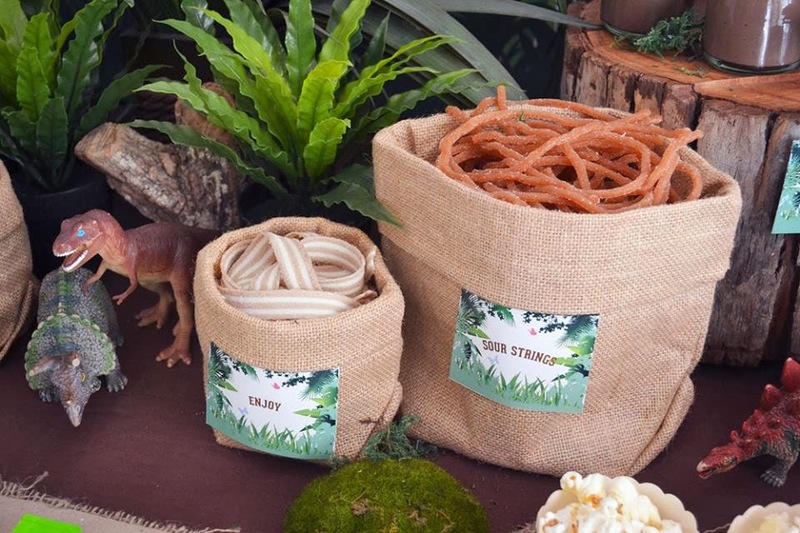 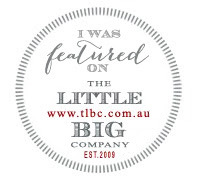 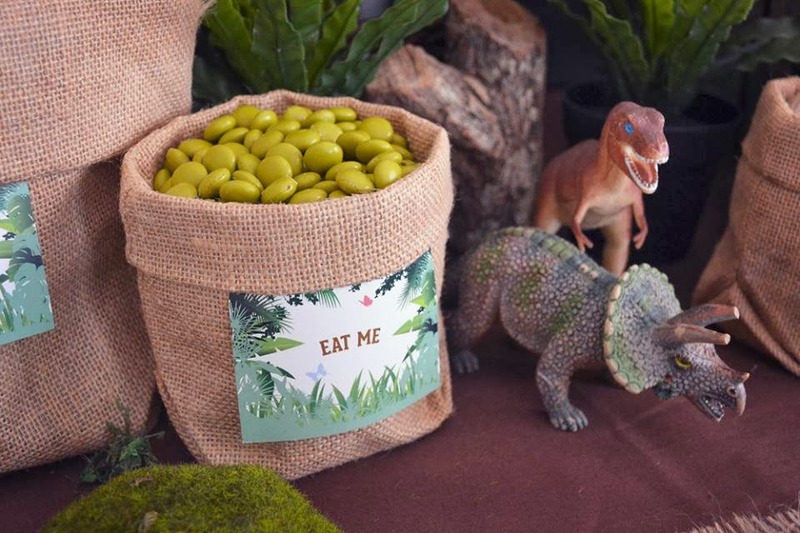 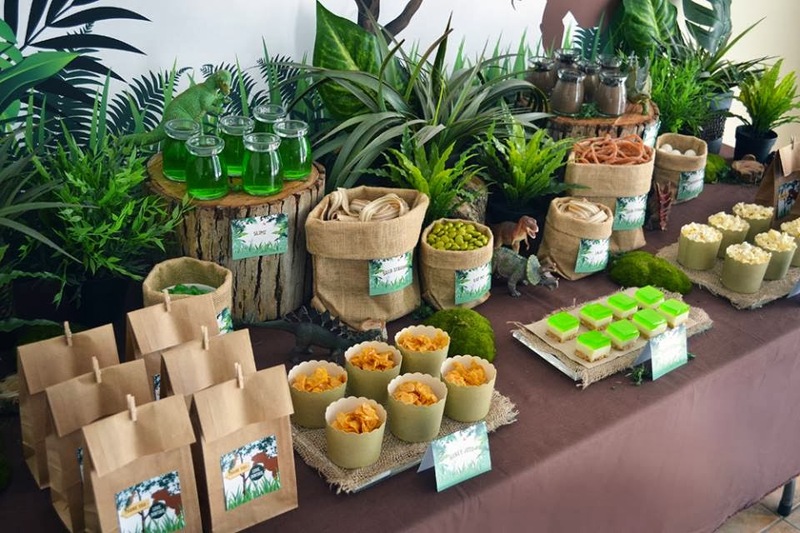 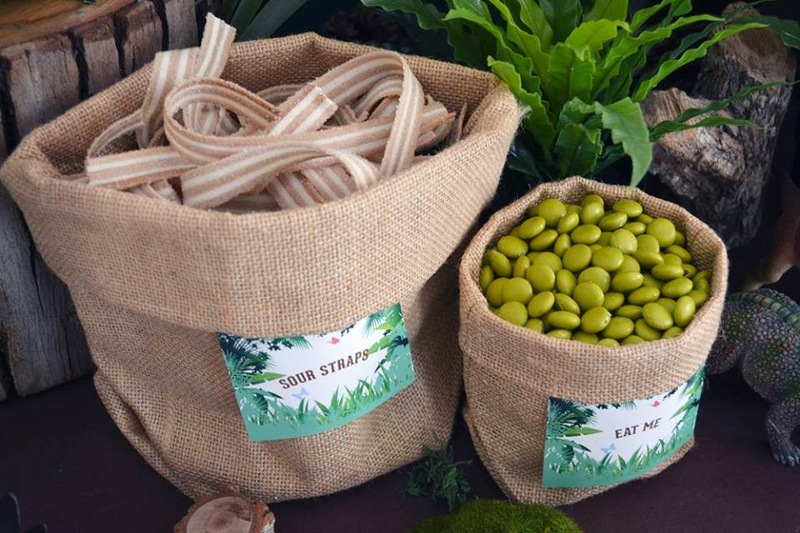 Before they left, all the little dino guests filled their favour bags with yummy candy like chocolate buttons, dinosaur egg gumballs, sour cola shoestrings and cola sour straps. Guests also enjoyed having their faces painted like their favourite dinosaurs"